THERE'S trillions of reasons we should all have stars in our eyes in 2018. And none of them have to do with celebrity-spotting, but they have everything to do with all things astronomical. 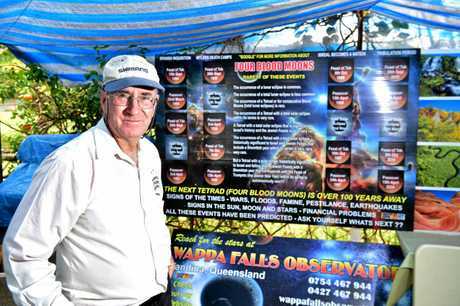 Wappa Falls Observatory founder Owen Bennedick believes 2018 should see our necks tilted upwards and our eyes fastened skyward or squinting through the lens of a telescope in search of universal wow factor - that is, changes in the stars, planets, moon and neighbouring galaxies that will blow our mind. 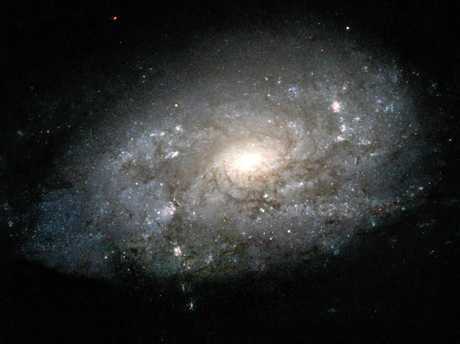 Spiral galaxies like NGC 3949, pictured in this Hubble image, are similar in shape and structure to our home galaxy. Our Sun and solar system are embedded in a broad pancake of stars deep within the disk of the Milky Way galaxy. While Jupiter and Saturn's close proximity to the Earth caught amateur and professional astronomers' attention in 2017, Mr Bennedick said 2018 might just outdo it in terms of stellar cosmic phenomena. "(In 2017), we've had Saturn able to be seen for most of the year or seven months of the year with the naked eye," said Mr Bennedick, who has more than 50 years' experience in astronomy. "Next year, we're going to have Mars and Jupiter and Venus up close. "Saturn will be later on in the year but in the early part, there'll be the first three (Mars, Jupiter and Venus) plus everything we have going on with the Sun. "We'll have probes heading out to Mars again, and it will be interesting to see if they (NASA) get something to land on the surface of Mars instead of crash-landing into it." Mr Bennedick said that from now for next four months, Pleiades, Taurus and Orion constellations and the Andromeda Galaxy would be seen clearly plus large and small magellanic clouds (two irregular dwarf galaxies) in the neighbouring system. But they're not the only star attractions. "Really interesting and bright stars like Sirius (the brightest star system in the Earth's night sky) and Canopus (the brightest star in the southern constellation of Carina, and the second-brightest star in the night sky) - super-giants - are up there at the moment and Rigel, which is the hottest star in our galaxy," he said. 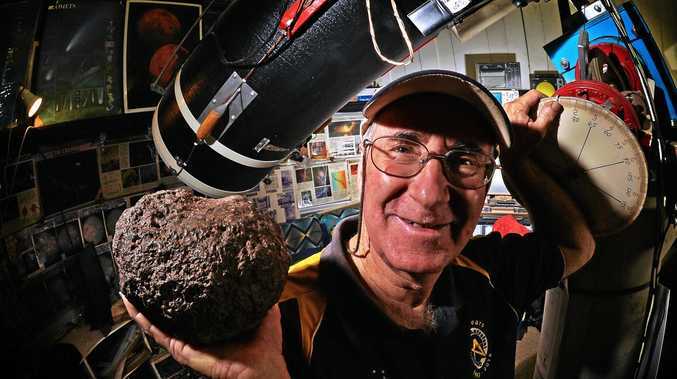 Mr Bennedick said our closest neighbour, the Moon, always was a fascinating sight and he encourages visitors to his Yandina attraction to come back night after night to see it go through all its phases. "As the Moon goes through its phases, they can look at craters and mountains illuminated," he said. Not to be outdone, the Sun has its own spin on scientific interest at the moment. "The Sun has gone very quiet," Mr Bennedick said. "A few months ago, there was quite a lot of activity. "The Sun usually goes through regular 11-year cycles. But five to six years ago, the cycle started to break. 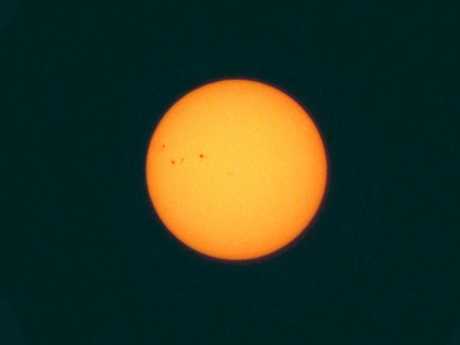 "That was a bit odd - flairs and sunspots and stuff like that (went quiet). "But we've had quite a few good auroras (sometimes referred to as polar lights, northern lights or southern lights: a natural light display in the Earth's sky, predominantly seen in the high latitude regions). "When we get auroras, you have to start worrying about birds and whales getting lost. "They use magnetic fields of the Earth and when the sun is really active, that interferes with the magnetic fields." 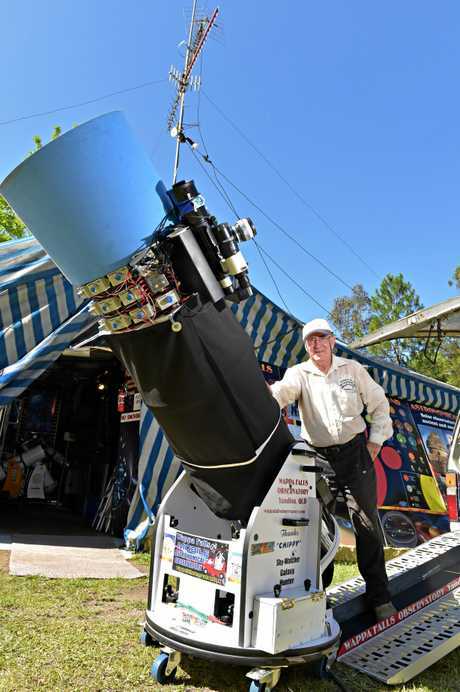 This year has gone off with a big bang for Mr Bennedick after a host of improvements to the grounds at the privately-owned Wappa Falls Observatory, which has been open for nearly 30 years in its quiet bushland setting. The grounds now boast a bonfire pit with gardens and paved areas, allowing groups to relax and even toast marshmallows before the big show overhead in the night sky. 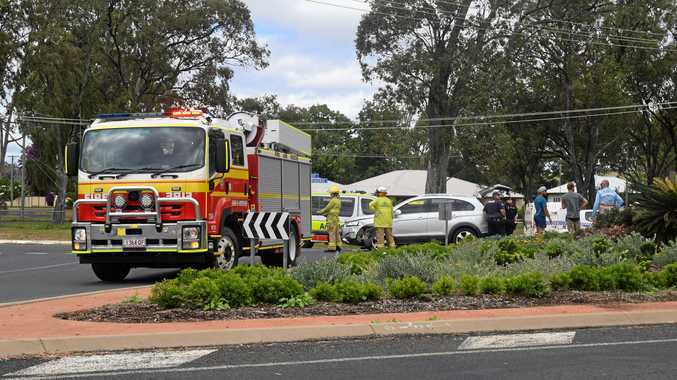 Mr Bennedick said his "one-man band" had also been busy adding Twitter Walks (birdwatching walks) and improving the natural environment with more plants, Australian natives and fruit trees. The ever-popular Planet Walk has been improved over time. The Nature's Way Museum should be up and running in 2018, incorporating his extensive marine life, rock and mineral collections, as well as specimens that are truly out of this world. As well as 16 telescopes of various sizes, seven different educational programs operate including Introduction To The Night Sky, Introduction To The Day Sky, the meterorite collection, and "diamonds from outer space". January 31, 2018: The total phase of this lunar eclipse, also known as a Blood Moon, will be visible in large parts of US, northeastern Europe, Russia, Asia, the Indian Ocean, the Pacific and Australia. January's second Full Moon will not only be eclipsed, but it is also a Blue Moon because it's the second Full Moon in in the same month. January 2: Supermoon - The full moon on January 2, 2018, coincides with the moon's closest approach to Earth, also called perigee. This makes January's Wolf Moon a Supermoon. A Supermoon looks about 12 to 14% larger than its counterpart the Micromoon. January 3: Earth at Perihelion - At 05:34 UTC on January 3, 2018, Earth will be at perihelion: the closest point to the Sun in its yearly orbit. The opposite happens in July when Earth reaches aphelion. January 3/4: Quadrantids Meteors - The first major meteor shower of 2018, the Quadrantids, will peak on the night of January 3 and early morning hours of January 4. May 10/11: Eta Aquarid Meteors - The best time to see shooting stars from the Eta Aquarid meteor shower is in the early morning, just before dawn, on May 6. August 12/13: Perseid Meteors - The shooting stars of the Perseid meteor shower are known as the most active and brightest meteor showers of the year. October 8: Draconid Meteor Shower - The best time to see the shooting stars of the peaking Draconids is just before nightfall on October 8, 2018. October 21/22: Orionid Meteor Shower - Orionids are the second meteor shower in October. The best time to see these shooting stars is just after midnight and before the Sun rises.